This week keeps on bringing more and more setbacks. 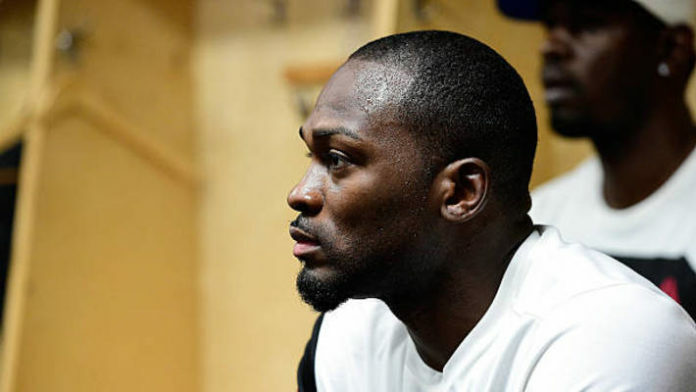 Derek Brunson confirmed on his Instagram account that he has suffered a minor injury and is out of his next fight. Combate provided the initial report. He was scheduled to fight Brazilian middleweight Antonio Carlos Junior at UFC 227 on August 4. Brunson who has 18 wins in his professional career last fought against Ronaldo “Jacare” Souza, losing via first-round knockout. Before the Jacare fight, Brunson was in good form with impressive back-to-back first-round finishes over Lyoto Machida and Daniel Kelly. Carlos Junior is riding on a five-fight win streak with victories over Tim Boetsch, Jack Marshman, Eric Spicely, Marvin Vettori and Leonardo Guimaraes. Four of his last five fights were submission finishes. There has been no update about the replacement for Brunson. Antonio is a step closer to breaking into the top ten if he wins his next fight. The UFC 227 fight card is stacked with some of the best fights this year. The main and co-main event will T.J. Dillashaw vs. Cody Garbrandt and Henry Cejudo vs. Demetrious Johnson respectively. Alexander Gustafsson is also coming back after some time off to fight Volkan Oezdemir in a light heavyweight bout. In the featherweight division, Cub Swanson will be facing Renato Moicano. More fights are yet to be announced. Who do you think should replace Derek Brunson?